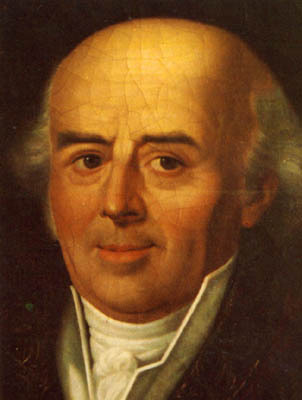 The original architecture of medical Heilkunst and homeopathy was laid out in the various writings of Dr. Hahnemann, particularly in his most formal writing which was his Organon. This is a book which he revised through six editions in his lifetime, and which has been translated at various times into English since his death. Good translation is far from a technical exercise, and the most accurate translation was done by Steven Decker, whose unique background allowed for him to reveal some very fresh insight into how to translate not only the words of Hahnemann, but the essence of his whole mode of thinking. The Organon is an especially formal and structured form of writing, which almost reads like a legal statute, and contains much content in condensed form, kind of like a “.zip” file on a modern computer. Dr. Hahnemann packed very much meaning into the condensed aphorisms of this book, and like all works of genius, it can take multiple readings to fully unpack all of the implicit meanings and associations contained. One homeopath once famously instructed that a young homeopath should read Hahnemann’s Organon 2x per year for the first 50 years of their practice, and then only 1x per year would be necessary after that. 1. The physician’s highest and only calling is to make the sick sound, which is called remediation. Seems like a pretty straightforward and obvious start — the physician’s job is to provide remediation for their sick patients. But is there something more is in that sentence? It refers to the “highest and only” calling of the physician. A calling is much more than an occupation or job — a calling comes from something which we’ve been talking about in this week’s blogs in terms of finding your core desire function. If one’s desire function does not include being a physician, then it will not arise as a specific calling from within. The other association we can make with the word ‘calling’ is with the concept of ‘resonance’ — the whole structure of Heilkunst is fundamentally built around resonance as the central medical principle. It makes sense, then, that if the therapeutics of Heilkunst are built around the principle of resonance, that the practitioner would be required to be operating their life on the same principle. There’s another word in this first aphorism that I find particularly interesting, and that is the word ‘sound’. In this context, it has a meaning similar to ‘whole’, as in the phrase “…of sound mind and body”. Right from the very beginning, Dr. Hahnemann is setting Heilkunst apart from the usual conception of healthcare we have today, where the buzzword used everywhere is ‘wellness’. We hear about ‘wellness’ clinics and ‘wellness’ lifestyles — this is a very different meaning and goal for health than the ‘soundness’ which Dr. Hahnemann asks of his Heilkunst physicians. ‘Wellness’ has more the connotation of balance and maintenance, where ‘soundness’ implies the higher goal in health of capacity for creativity, and autonomous self-governance. Where the “balance and maintenance” of wellness is a necessary condition for health, it doesn’t include this fuller attainment of soundness. This is another reason I refer to Heilkunst as a form of “Naturopathy 2.0”, as the field of naturopathy works towards this lesser goal of wellness, but it is medical Heilkunst which consciously works towards this higher goal of soundness for the patient. If all of this (and more!) is contained in just the first aphorism of The Organon, imagine what we’d find if we went through the remaining 291 aphorisms in this way!